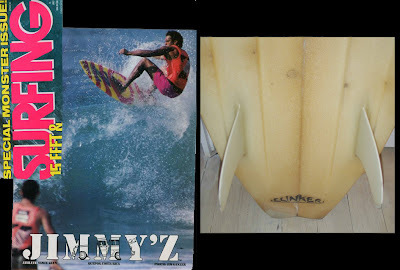 This is a 6'0" swallow tail twin fin 'Clinker' design shaped by Laurie Byrne for Hawaiian surfer Vince Klyne for the 1982 Surfabout at Narrabeen. 'Clinker' refers to the extremely deep channels and splayed fin setting. 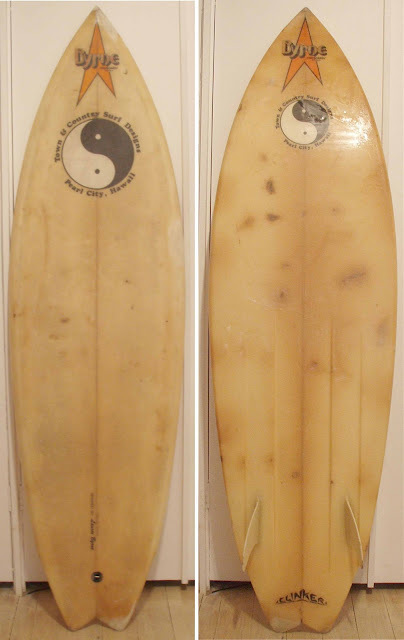 Some boards are worth collecting because they good examples of innovative design and some are worth collecting for their historical significance and some are good riders. This board is all 3! 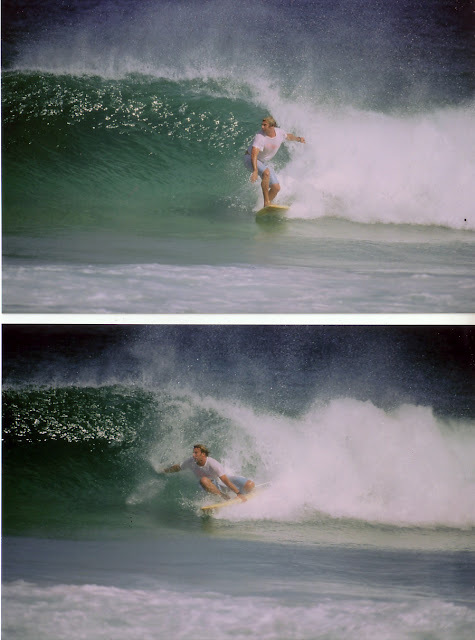 Its a bit rough... but as you can see in the photos of me at Seal Rocks NSW it still goes great. Its fast and loose and the deep channels really hold in the pit.